The Mayor’s State of the City address, originally scheduled for Tuesday evening, will be rescheduled soon. 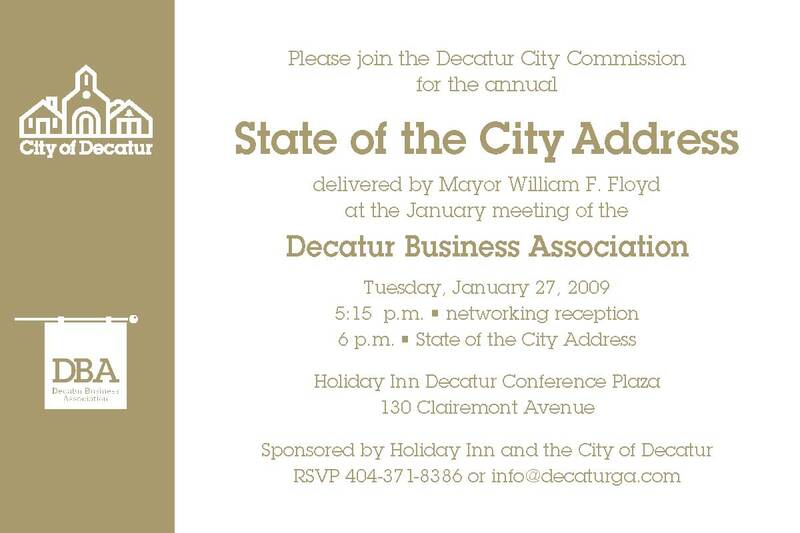 Due to the threat of inclement weather, tonight’s State of the City address, hosted by the Decatur Business Association, is cancelled. The new date will be announced once it is scheduled. Tonight’s youth basketball practice, as well as afternoon and evening classes at the Decatur Recreation Center, are cancelled. The gym will close early today at 5 p.m. Wednesday morning classes and activities at the Recreation Center are likely to be cancelled as well. Please check the Active Living blog for the latest updates. Snow is expected to begin falling this afternoon, and roads are expected to freeze. State routes will be the priority for road crews clearing streets, followed by major city streets. Residential streets will be the last to be cleared. City of Decatur residents are encouraged to clear the sidewalks in front of their property. Thursday garbage and recycling pick up may be delayed, depending on road conditions. Please check back here for updates. For any issues during the inclement weather, please contact the police non-emergency number at 404-373-6551. Thank you to everyone who attended the Decatur Business Association meeting to hear the State of the City address last night. What a great turnout! For those of you who were unable to make it, Decatur eLife will be posting a video of the event within the next few days. Before delivering the address, Mayor Floyd presented service awards to City of Decatur employees that have worked for the City for 15, 20, 25 and 35 years. 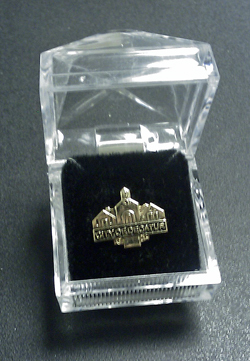 The employees each received a service pin (pictured). Below is the list of this year’s recipients. Lyn Menne – Comm. & Econ. Dev. Linda Harris – Comm. & Econ. Dev.